Unlock your skin's natural glow, without an oily shine. Formulated with Brightening Essence and Herbal Clay, a natural oil-absorbing ingredient. 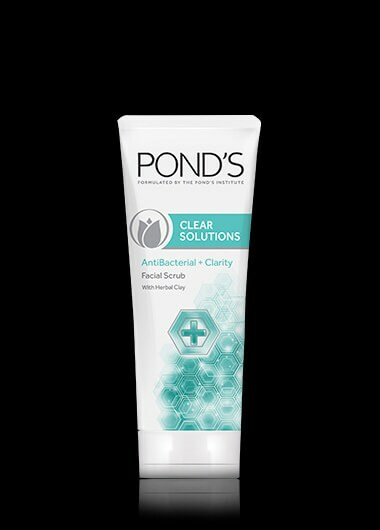 Pond's Pimple Clear removes pimple-causing impurities and excess oil from deep within your skin. Resulting in clear, radiant skin. Removes excess oil and helps clear impurities from your skin's surface. Squeeze a pea-sized amount of facial scrub on your hand and lather with water. Massage and on face and rinse thoroughly.